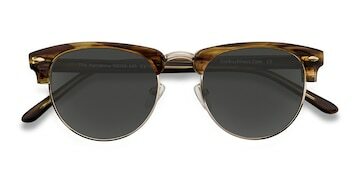 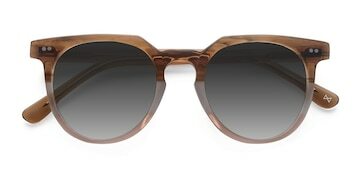 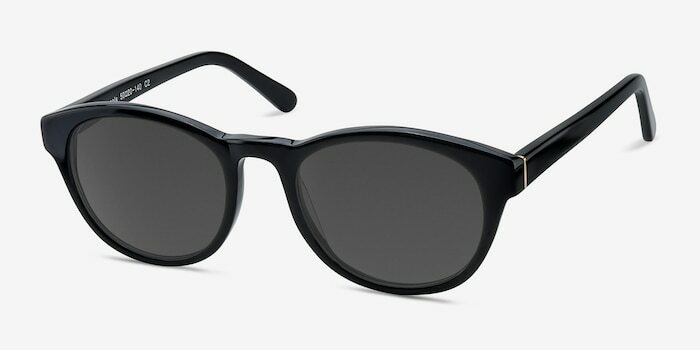 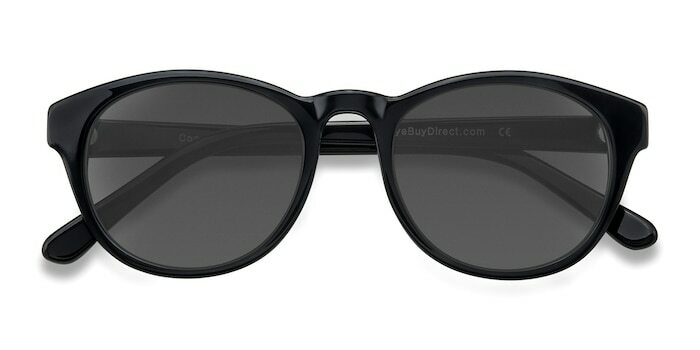 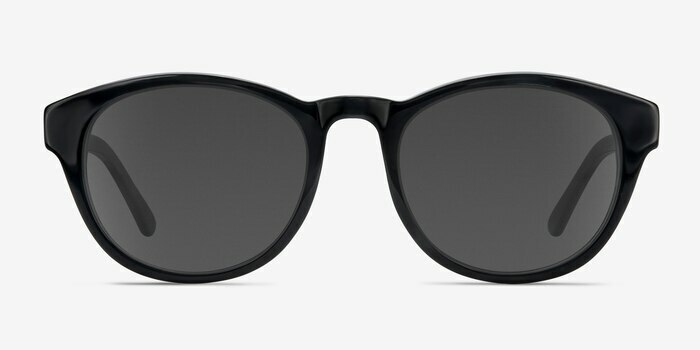 These black sunglasses have a vintage yet fun vibe. 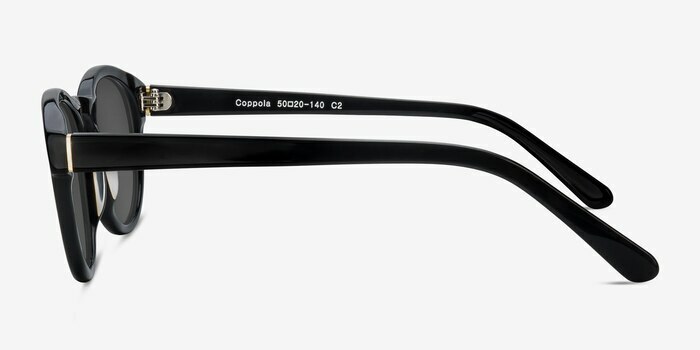 This full plastic frame comes in a glossy black finish throughout and rounded lenses. 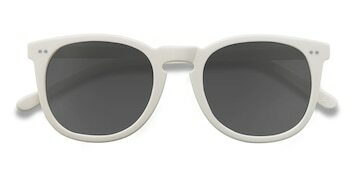 Unembellished and modest, this clean look still remains feminine and can be accessorized with any outfit.